Sailing aboard the Zafiro is embarking on a unique journey into the depths of the Peruvian Amazon jungle. Here there is room for you to disconnect, relax and discover. Aboard Zafiro, comfort is part of the essence of the experience. The spacious panoramic windows that characterize our suites, together with our open relaxing areas, make the Zafiro an extension of the Amazon; from where you will admire every last detail of the immense and diverse spectacle that the Amazon rainforest represents every day, and every night. The culinary scene is also one of the great protagonists aboard Zafiro. 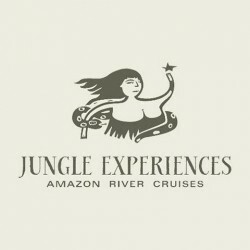 On board the cruise you will take part in a unique culinary experience based purely on Amazonian foods. The Amazonian journeys, with the help of our expert guides, form part of the most genuine way to get close up to the fauna and flora of the Amazon; allowing you to discover and feel in your own skin, the cultures built around the waters that flow through the rivers. To sail in La Perla is to experience the authentic Amazon; to embark on a trip to the most intimate depths of the jungle; to feel the magic of a unique adventure that will take you to discover virgin and unexplored corners; a journey that will connect you directly with the immensity of nature, where nothing matters more than what is authentic on the planet and, above all, what is authentic in oneself. Magic is a constant in the Amazon rainforest of Peru, every being, every corner, has an essence to discover and only those who have lived and studied the Amazon over the years can understand and transmit it. Our expert naturalist guides aboard La Perla, with more than 20 years in the area, are the best hands to take to discover the infinity of the Peruvian Amazon; leading as you feel the culture and the Amazonian life in your own skin . Traveling aboard the Amatista is to embark on an authentic expedition through the Amazon jungle of Peru. The construction of the boat, based on the traditional boats of the jungle, will take you on a journey into space and time in which you will not be able to miss. Put your five senses in the greatness of what surrounds you, and admire the immensity of a land before your eyes.